Vehicular manslaughter is the crime of unintentionally causing the death of a person due to illegal driving. Vehicular manslaughter can occur where there has been extreme carelessness, drunk driving, reckless driving, or speeding. Vehicular manslaughter entails the unintentional, yet unlawful, killing of another human being as the result of a car accident. The crime requires proof that the death resulted from a driver operating an automobile with gross negligence or simple negligence and in violation of some law not amounting to a felony. If you are driving under the influence of alcohol or drugs when a fatal traffic accident occurs, you can be charged with manslaughter. An important aspect of vehicular manslaughter entails the driver’s violation of a law. If a person is driving negligently and in violation of any traffic law, he can be charged with vehicular manslaughter if the death of a human being occurs. This means that whether someone is driving a few miles over the speed limit or driving under the influence, a criminal charge can be brought against him or her if negligent driving causes the death of a human being. Depending upon the circumstances, vehicular manslaughter can be charged as either a misdemeanor or felony. In circumstances where the driver was speeding just a few miles over the speed limit, a court might find a misdemeanor. However, where the driver was driving under the influence, a court would most certainly find a felony. 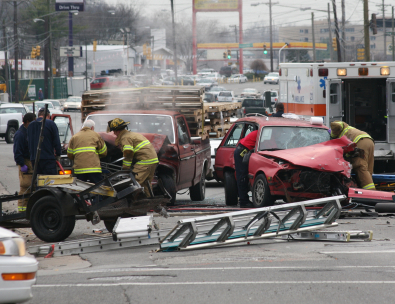 Since the outcome of vehicular manslaughter related cases could be life changing, choosing an attorney requires you to be well informed and advised. To help you make the right decision, our service can provide you with important background information that includes attorney's ratings, records, and certifications. The added danger of a charge of gross vehicular manslaughter may depend upon some additional circumstances – such as the number of people killed, the spectacular nature of the incident, or a variety of other factors. In such cases, the prosecutor may decide to file charges of second-degree murder, which requires proof of “malice.” In instances where the defendant has a history of previous DUI convictions, prosecutors have used this history to present what they describe as a callous disregard for human life. Any one of us, unfortunately, can be the driver of a car involved in an accident that results in the death of another person. Fortunately, most of the time we’re not driving while under the influence. But if you or a loved one is DUI while involved in an auto accident that results in death, we encourage you to call The Sheena Law Firm today to discuss your case.